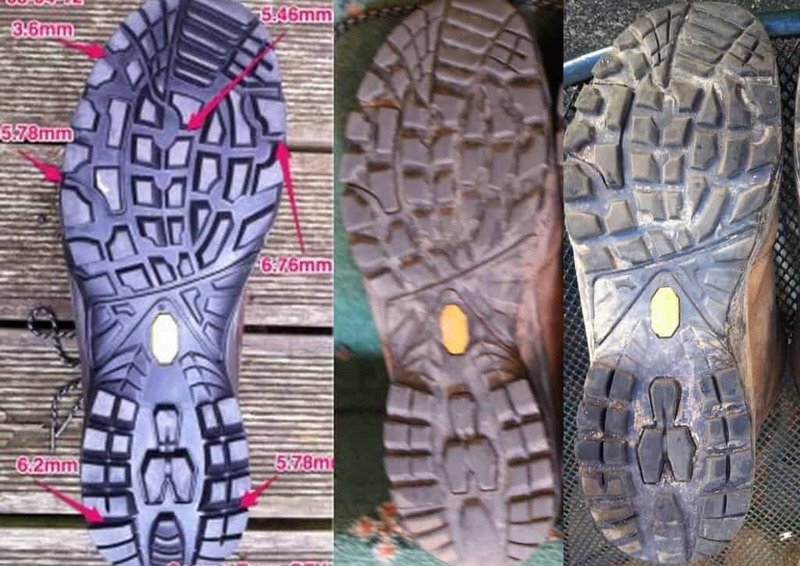 How long should a pair of hiking boots last? As you can see the heel is getting worn out very quickly , now down to the core material with the toe rapidly catching up. The terrain is not particularly harsh mainly grass / mud /sand /tarmac but no granite limestone etc. So will they last the 630 miles? It would be interesting to hear what Scarpa have to say about their boot life! In fact the first pair only lasted 1 hour as there was a broken needle stuck in the leather 🙂 but Open Air replaced those straight away. I’ve found the same with my Scarpa boots. Just like a tyre, the harder the compound the longer it lasts but with a lower friction factor. (Just watch a Formula 1 race with the differences between Prime and Option tyres). Scarpa seem to have biased toawrds grip at the expense of durability. Great on wet rocks as long as they last….. Indeed, but personally I think most grip comes from the tread, which if wears away after a couple of walks makes the boot useless! Agree – most of the time on grass and textured or rough surfaces. As the tread wears the corners round off so the boots can’t bite in or catch. The softer compounds with higher µ (friction factor) values work better on smooth hard surfaces like flat rock, paving slabs or rolled tarmac roads. If I can’t get a guarantee that my new hiking boots can last one year, but yet still be very strong to go on, then I’ll probably be looking somewhere else.